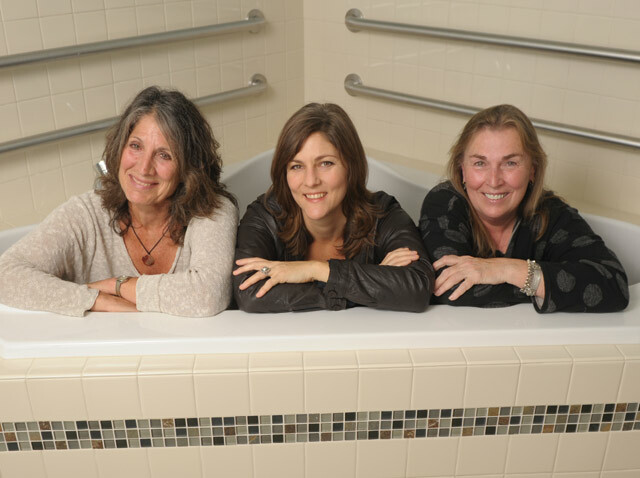 from left: Alice Levine, Laurel Phillips, and Anna Bunting pictured in one of the birthing tubs at the new Santa Barbara Birth Center. “That’s really where the passion is for us — getting to see over and over again just what a profound time of transformation this is for a couple and for a family and for a woman. It’s really worth it to guard and protect that aspect of the experience,” said Laurel Phillips, founder and president of the recently established Santa Barbara Birth Center. And guarding those intangible aspects of bringing a new life into the world is exactly what Phillips and her colleagues do — as well as ensuring a safe birth for both mother and child. 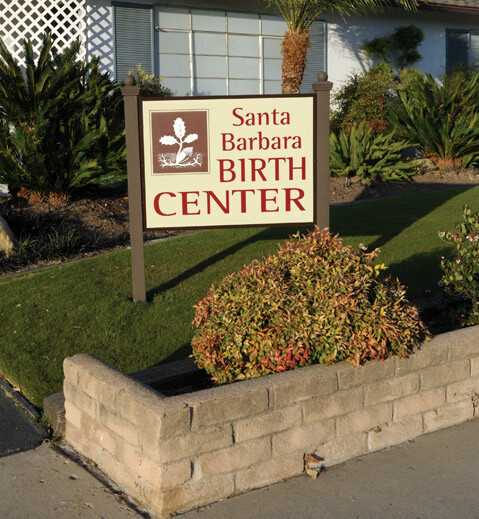 A free-standing birth center has been a missing link in the continuum of perinatal services in Santa Barbara, leaving childbearing families two birthing choices: Santa Barbara Cottage Hospital and home birth. The Birth Center provides a third option that combines the best elements of both hospital and home. Expectant mothers who desire the benefits of home birth may find that the center provides that next level of comfort, assurance, and peace of mind. With family-focused maternity care in a homelike setting, the Birth Center’s core mission is to provide services, support, and education to low-risk childbearing women and their families. The center provides complete midwifery care for pregnancy and birth in collaboration with the greater medical community — in their view, a sound, integrative, and economical approach to maternity services for childbearing families. Women are attended by the same midwives throughout their pregnancy, labor, birth, and postpartum period, ensuring a high-quality continuity of assistance. 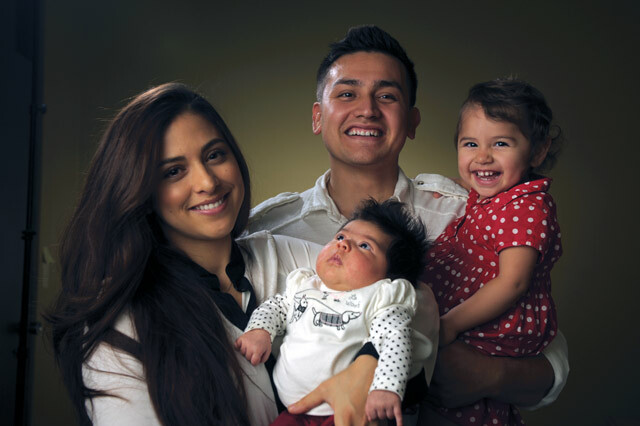 Paola and Bryan Rodriguez with daughter Malia, who was born at the S.B. Birth Center on October 7, weighing in at 9 lbs. 2 oz. “Us” refers to Phillips; Alice Levine, CNM; and Anna Bunting, CNM, NP. Bunting and Levine have been attending to women who choose home birth as certified nurse-midwives since 1978. Bunting has worked at Planned Parenthood as a nurse practitioner for many years, and both she and Levine have provided midwifery care through the county health system for several years. Phillips, who completed her midwifery licensure in 2010, has been involved in births as a midwife apprentice and assistant, as well as a professional doula for women planning hospital births, for more than 12 years. The trio follows the midwifery model of care, which regards childbirth as a normal physiological life event and a sacred, complex, and empowering experience for childbearing women and their families. The application of this woman-centered model of care has been shown to reduce the incidence of birth injury, trauma, and cesarean section. The midwives plan to hire additional personnel to meet increased demand as their practice grows. They have already expanded their team to include three birth assistants and expect to eventually bring in a fourth midwife, as well as hire nurses on a per diem basis. One of the center’s two birth rooms, with a built-in deepwater tub. at 8 lbs. 2 oz., on October 10. Although more than a quarter-of-a-million dollars was ultimately raised — via private donations, community foundations, and fundraising events, such as last week’s Toad the Wet Sprocket concert (Phillips’s husband is Toad frontman Glen Phillips) — to open the facility once Phillips and her team secured an ideal location, finding a spot to serve as the Birth Center’s new home wasn’t an easy task. At a time when commercial spaces stand empty on State Street, properties that fit their parameters were at a premium. After two-and-a-half years of scouting potential locations, they secured a lease on a low-slung bungalow at 2958 State Street, within six blocks of Cottage Hospital. Walking into the newly renovated space on upper State Street, the first impression is one of warmth and comfort. 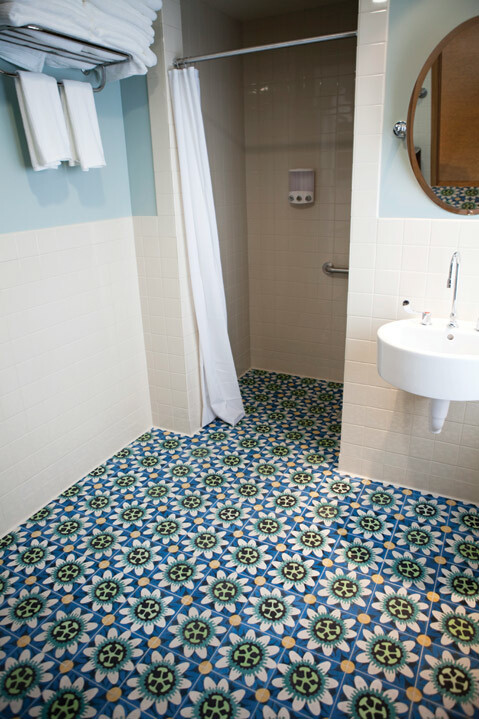 The homey environment includes a kitchen, wheelchair-accessible restrooms, two private birth rooms, and an exam room. From the earthy Marmoleum flooring to the wooden furniture to the fanciful tile in the bathrooms, the aesthetic is simple and clean. 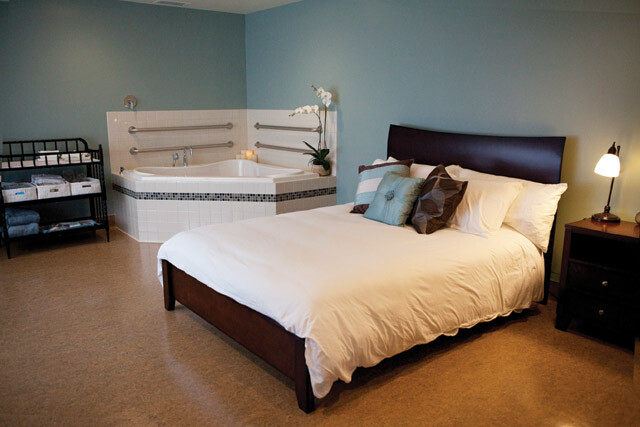 The two dedicated birth suites, designed for the expecting mother’s comfort, are private and peaceful. Natural light filters in. Organic linens adorn dark wood, queen-sized beds. Serene artwork graces the walls. Built-in deepwater tubs, for mothers who choose to labor in the water or desire a water birth, are large enough to accommodate both the woman and her partner. Although the Birth Center’s primary focus is to guide women through pregnancy, birth, and early parenting, it offers personalized health care for every cycle of a woman’s life, from the teen years through menopause, via well-woman exams, preconception counseling, and teen education. The Annex, across the driveway from the main care center, houses an exam room (which can function as a third birth room with the addition of a portable tub), a bathroom, and a comfortable gathering space with a lending library of books and DVDs. The center serves a complementary function as a birth resource spot, where the community can attend classes, lectures, and film screenings to learn more about pregnancy, birth, and postpartum options. Comprehensive lists of community resources, from childbirth educators to lactation consultants, are available. Monthly potluck gatherings offer clients planning a birth at the center the opportunity for discussion, support, and community building. Women experiencing low-risk pregnancies who desire natural childbirth, free from medical intervention, are ideal candidates for delivering at the Birth Center. Because labor and birth are considered routine life events as opposed to medical conditions, the rigid protocols often employed with obstetric care are not imposed on a woman laboring normally at the center. Throughout the pregnancy, as well as during labor and delivery, the midwives continually evaluate and assess whether or not the pregnancy and labor remain within the low-risk zone. As long as the mother and baby remain within healthy parameters, strict time frames for the progress of labor are not required. Holistic approaches are used for pain management; women are encouraged to move around in labor, eat and drink freely, and adopt any position they choose. As the midwives monitor mother and baby during labor and birth, they are equipped, if necessary, to resuscitate both with Ambu-bag and oxygen, control hemorrhage by use of various drugs, and administer intravenous fluids for hydration, volume expansion, and delivery of intrapartum antibiotics and postpartum Pitocin. They will not induce or augment labor, offer drugs for pain relief (outside of local anesthesia while suturing any perineal tears), perform routine episiotomies, or deliver babies operatively. In the event that a mother requires medical intervention, the Cottage maternity unit and Neonatal Intensive Care Unit are nearby. The additional facility fee of $1,800 supports the Birth Center and its operations. Clients are responsible for complete payment of the birth fee, which may be reimbursable under a PPO plan. The center will assist clients with billing so they can submit a reimbursement request that is specifically tailored to their insurance company. Insurance reimbursement differs for every carrier, but people generally receive 30 percent to 50 percent of the birth fee. It remains to be seen whether or not insurance companies will pay the Birth Center’s facility fee, which is separate from the birth fees (facility fees at hospital births are covered by insurance carriers). Yadi and Abraham Pelayo with daughters Sia and Vada. Vada was the first child born at the S.B. Birth Center, weighing in at 10 lbs. 5 oz. Although the Santa Barbara Birth Center is now open for business, fundraising continues. Part of its mission is to make midwifery care and the birth-center option available to all women who desire it, regardless of ability to pay. Having successfully raised the capital to secure and remodel the space, the center’s most immediate fundraising goal is to create a dedicated fund for women who need financial assistance in order to birth there, so as to never turn anyone away for lack of funds. A grand-opening celebration featuring refreshments, music, and more will take place at the Santa Barbara Birth Center (2958 State St.) this Saturday, November 12, from 5-7 p.m. For more information, visit sbbirthcenter.org.